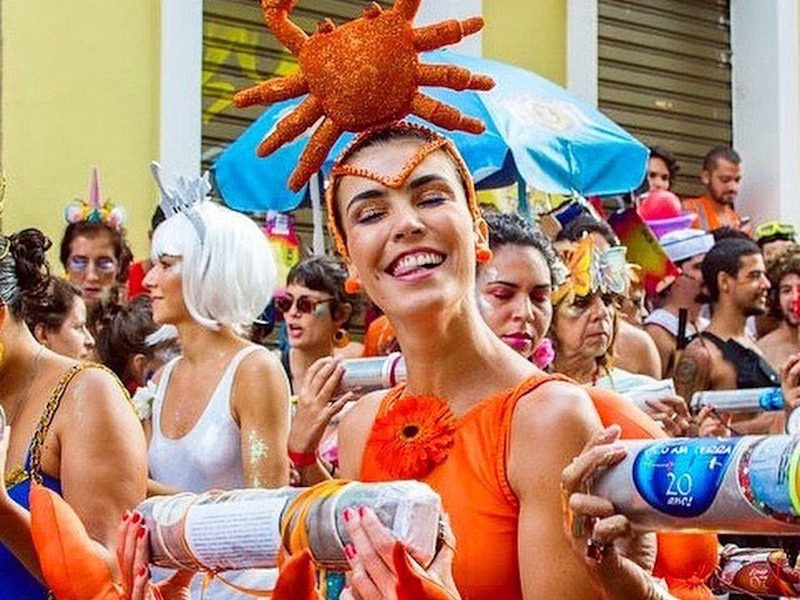 Instagram @tatyanemeyerBrazilians are known for their creativity and sense of humour, and this is reflected in many of the carnival outfits, such as these ones at Bloco Céu Na Terra. 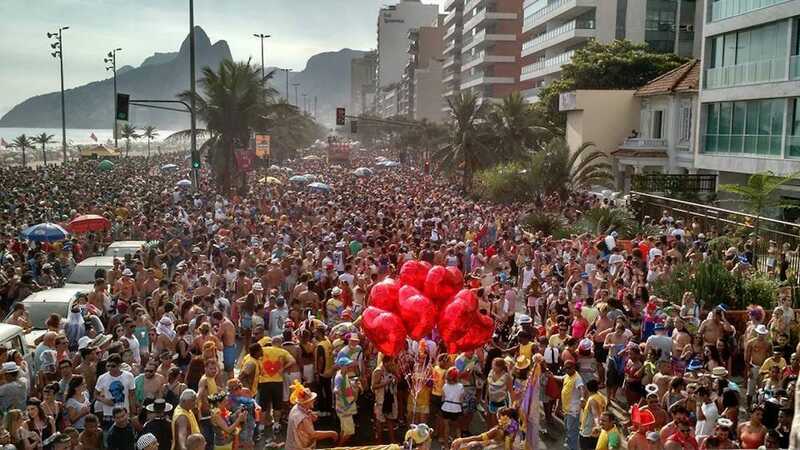 Rio Carnival is known for debauchery, alcohol, fancy dress, dancing, and kissing. It involves very early starts, long days, and a lot of stamina. 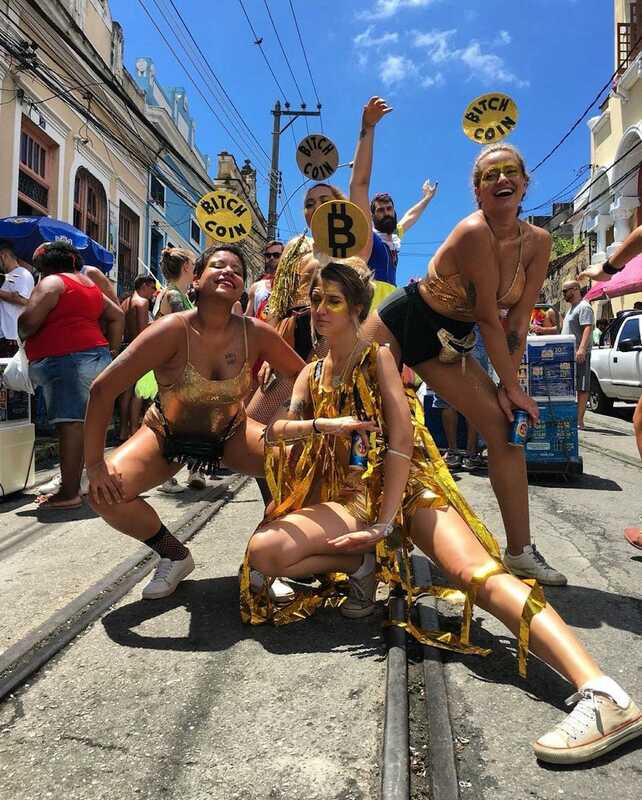 But while most outside media coverage focuses on the glitzy Sambadrome where the samba schools parade in frisky feathered outfits, there’s a lot more to it than that. I did my first carnival in 2010, and have been back for more since. 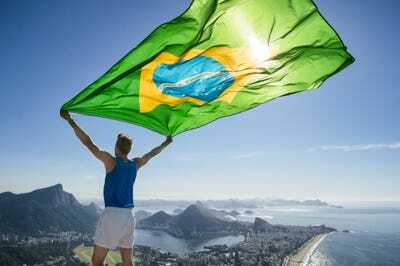 If you’re planning to travel to Rio de Janeiro to join in the celebrations, it’s worth knowing a thing or two about the Carioca – a Rio native – culture beforehand, as it’s actually very particular. Scroll down for 33 things I wished I’d known before doing my first Rio Carnival. Although Rio Carnival officially kicked off on Friday February 9, the warm-up began back in January and people have been partying for weeks. I did my first carnival in 2010 and have been back for more since. 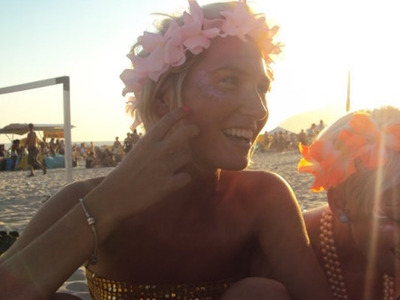 If you’re doing carnival for the first time, be prepared for the early starts. 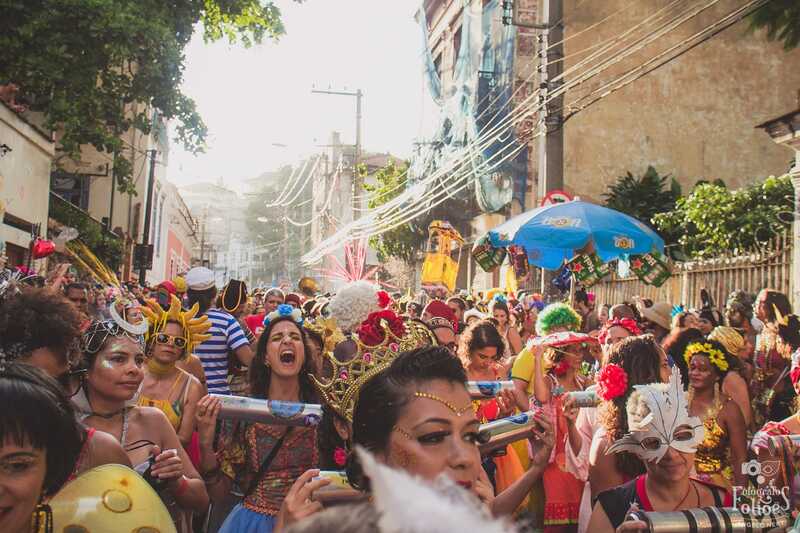 Some of the best “blocos” — or street parties — start at 7 a.m. and everyone is ready to go, drink in hand. 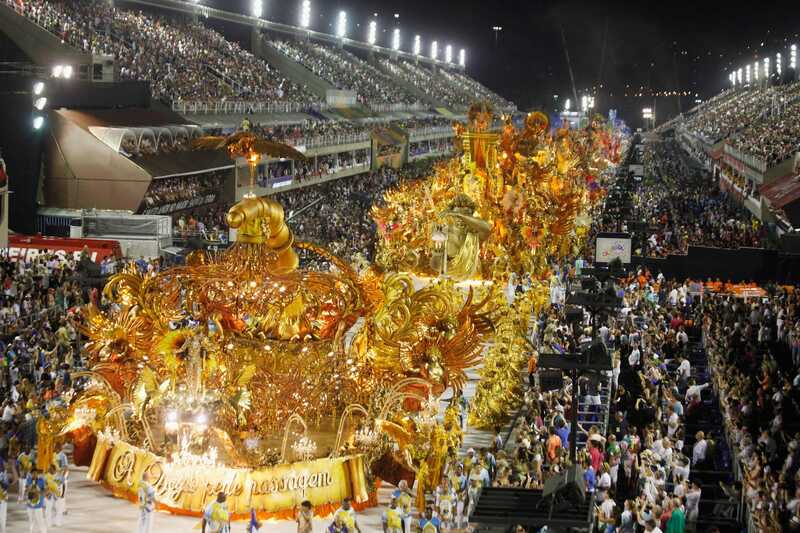 The feathered outfits can mostly be found at the Sambadrome, where the official parade of the samba schools happens. 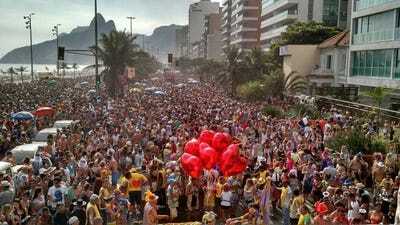 But this isn’t the best bit of Rio carnival. The Sambadrome itself, which was designed by Niemeyer, is a concrete structure through which the floats pass through with spectators on either side. The processions happen each night of the official carnival days. It’s tipped by many as the “highlight,” but while the Sambadrome is clearly a great spectacle and what most of the outside world sees of the celebration, it doesn’t represent the whole Carnival experience for most “Cariocas” (people from Rio). 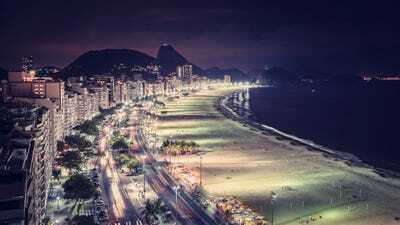 Tickets can get very expensive to see the best samba schools, and I found the experience a little repetitive. Learning samba is as hard as it looks. It’s understandably tempting to give it a go while you’re visiting, but unless you’re really gifted, the chances are you’re doing it all wrong. The dancers in the photo above told the photographer that their “platform sandals” actually prevent them from slipping over and injuring themselves while dancing the samba which has some incredibly quick steps. 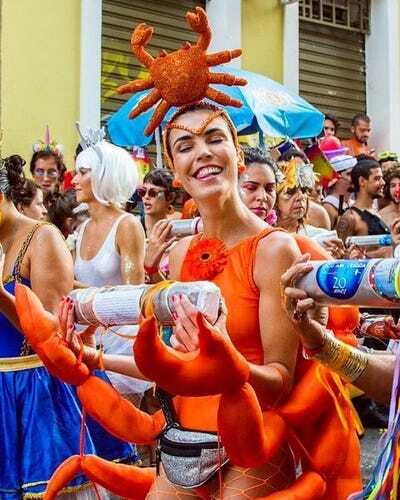 Fancy dress — or “fantasia,” as it’s called in Brazil — is still important, but with a little eccentric twist. Brazilians are known for their creativity and sense of humour, and this is reflected in many of the carnival outfits, such as these ones in Bloco Céu Na Terra, which happens in the Santa Teresa neighbourhood. This year over 450 blocos will parade across the city. There’s one to suit every fancy dress or music taste. There’s even one dedicated to Super Mario. If you’re starting early and want to last, it’s advisable to chill in the evenings, unless you’re headed off to the Sambadrome. 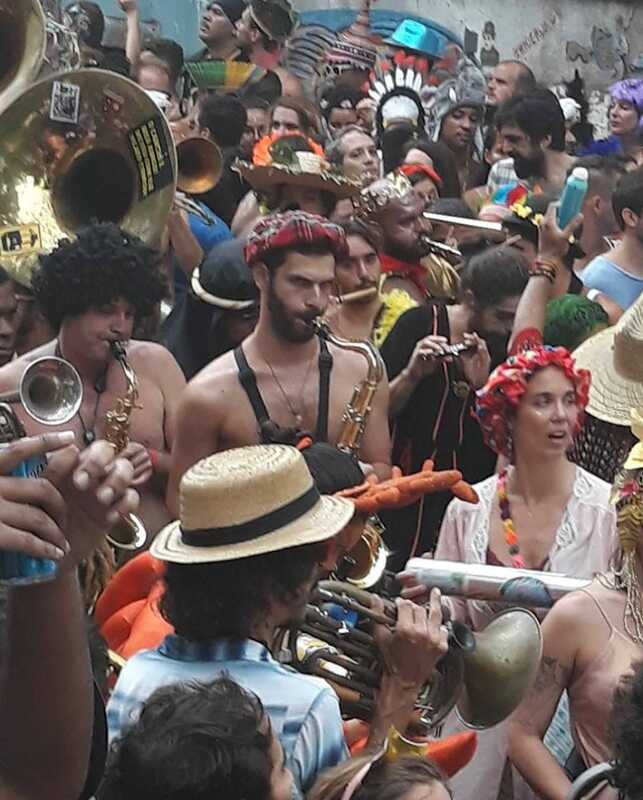 Before you do Rio Carnival, it’s worth knowing a few things about Carioca culture, too. 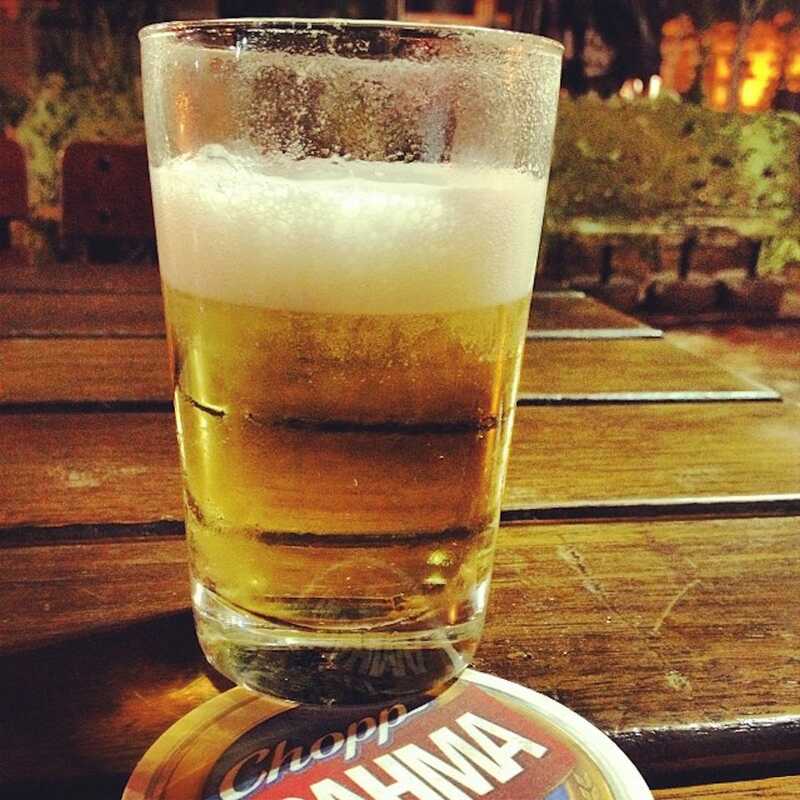 Brazilian beer is weak, which is actually a blessing in disguise during Carnival, when most people are drinking it all day long. On the beach you drink cans, sometimes with a little polystyrene cooler around it to keep it chilled. 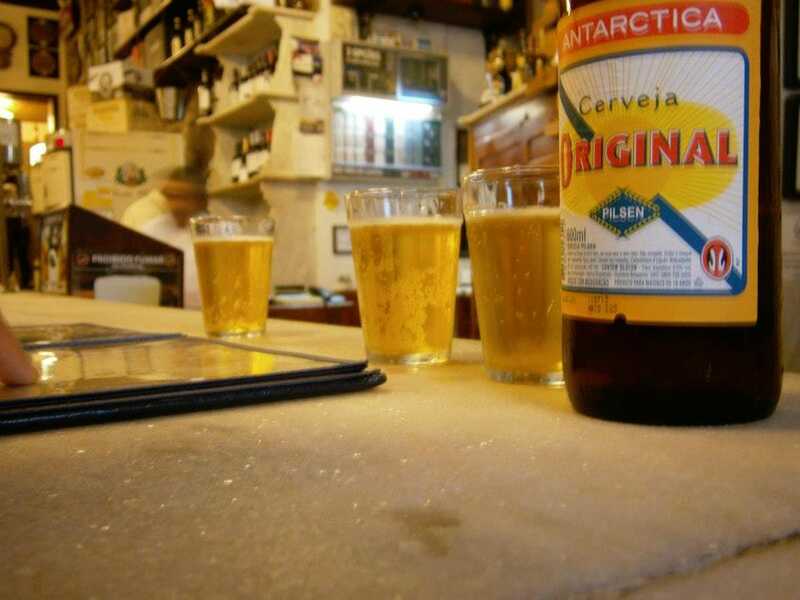 While in a bar you usually buy one big bottle and share in small glasses, again to keep it ice cold. 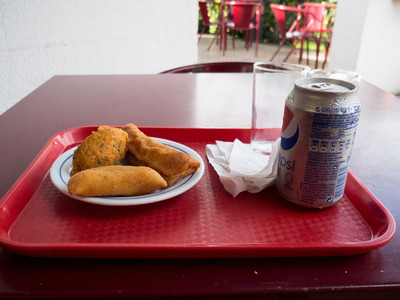 This is what a typical snack looks like in Brazil: deep fried savoury “salgados” with a fizzy drink. 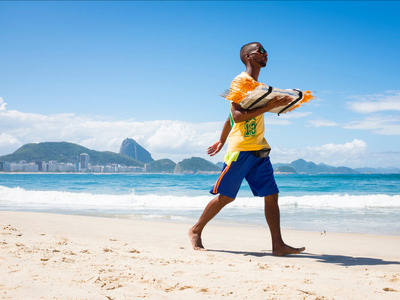 Brazilians love to snack all day long, especially on the beach. There are some very specific rules about how you consume these items, though. 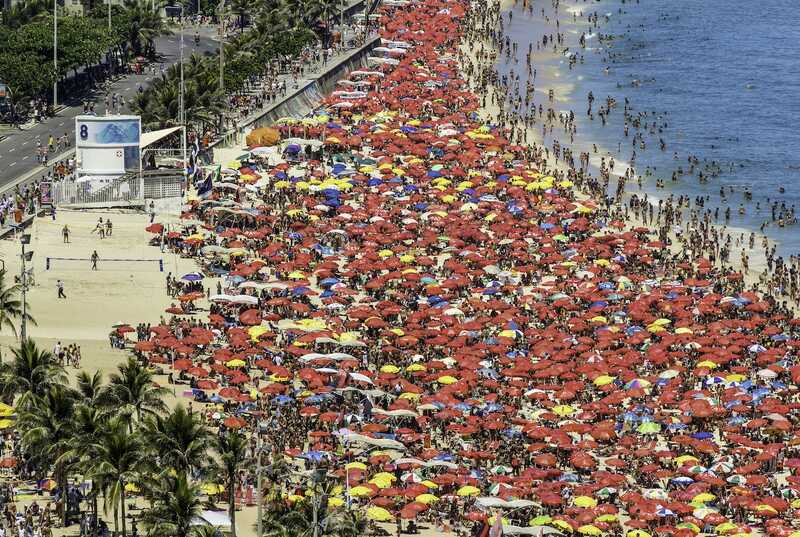 I learned this the hard way a few days into arriving in Brazil. People are genuinely horrified if you don’t follow these rules – it’s a hygiene thing. Posto 8, below, a section on Ipanema beach, has historically been the LGBTQ-friendly area. 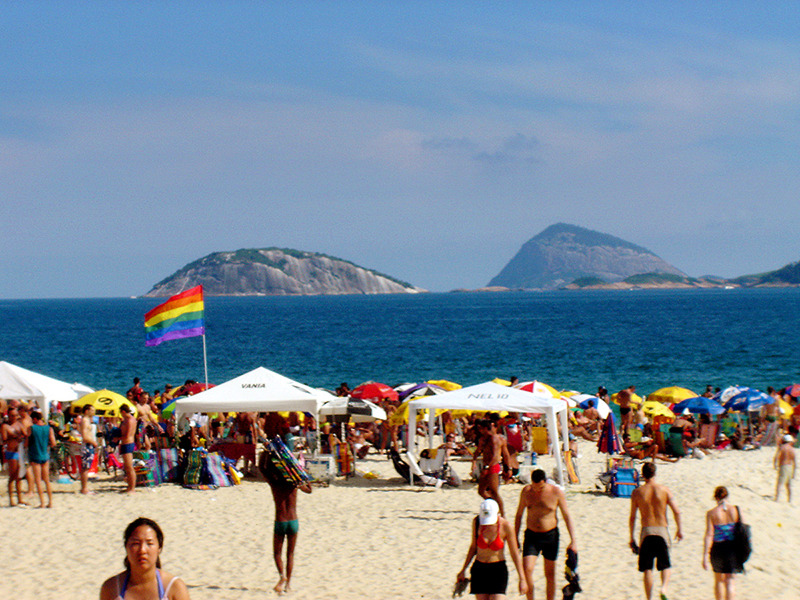 A little further up near Posto 9 is my favourite spot in Ipanema, popular with the young crowd. 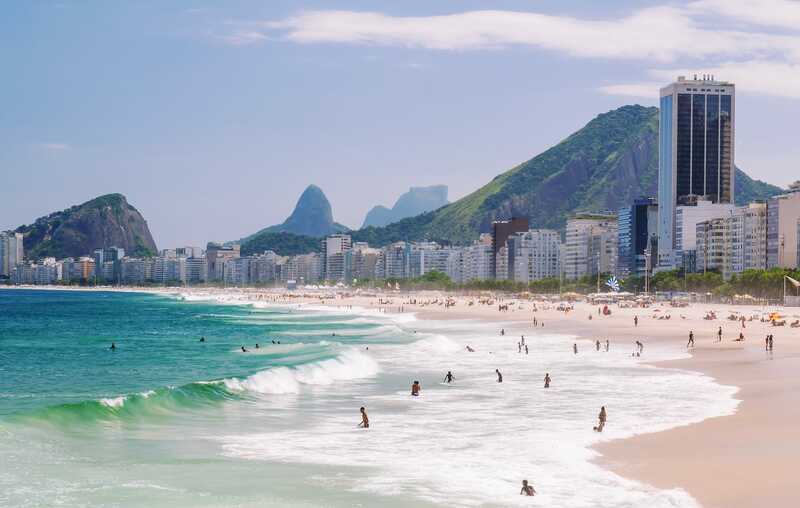 The iconic backdrop of the twin mountains, Dois Irmãos, the glistening turquoise water, and a clear sky makes for paradise on a blazing hot 40 degree summer day in Rio. 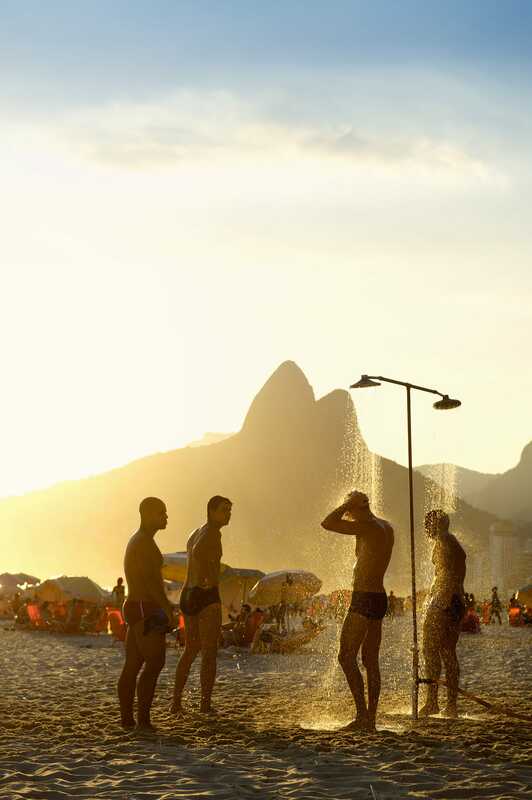 In Brazil you NEVER take a towel to the beach, though. Even the tourists learn this pretty soon. You need to purchase a “canga” to lie on, which can double up as a sarong later. The Brazilian flag is a popular choice. 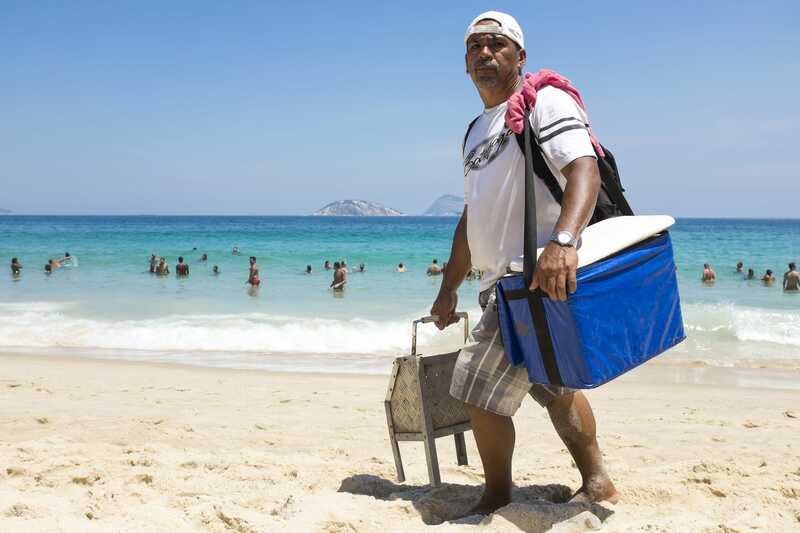 Some people prefer to rent a folding chair on the beach, and locals always face the sun. Brazilians take their football very seriously even down at the beach. Men and women play keepie uppies at the front of the beach and it makes for great people watching. Be warned, though — if you want to join you’d better have skills. 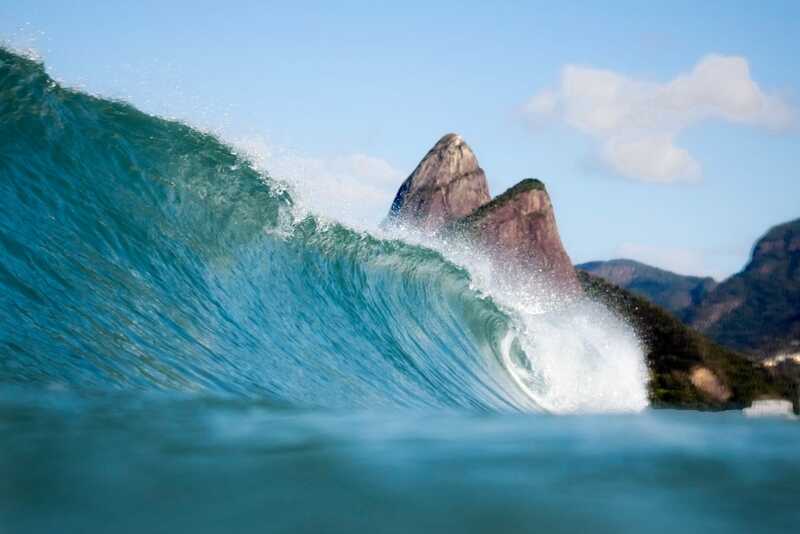 The sea is extremely rough in Rio, even in the shallows. I’ve seen countless grown men and women get taken out by the current while they’re in less than knee deep. As a foreigner, it’s easy to lose your bikini or shorts, which is always a great source of entertainment for the locals. A shrimp, or “camarão,” is also what they will call you if you get a sunburn – and they will be happy to remind you of it at any opportunity. The best thing you can buy on the beach is a “caipi” — Brazil’s speciality cocktail. 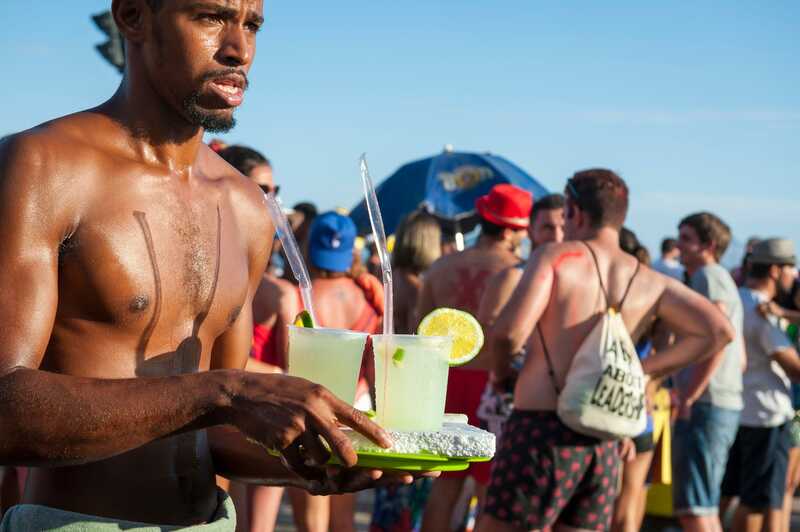 Lots of foreigners can’t cope with the extreme amounts of sugar in a regular Caipirinha made with cachaça – and the resulting “ressaca” (hangover) is pretty awful. 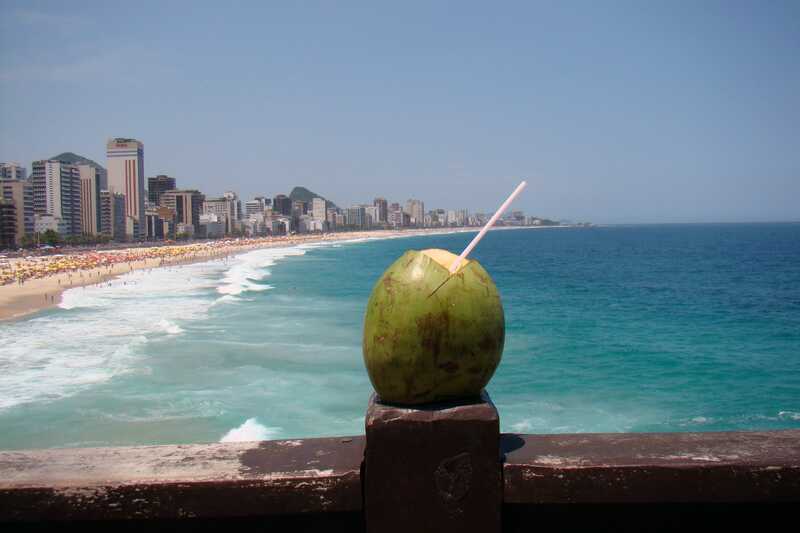 A safer alternative is a “Caipivodka,” which, as the name suggests, uses vodka instead. The classic lime-based caipi is not necessarily the best one – strawberry and passion fruit flavours are my favourites, but you can pretty much order one made of any fruit. “Love motels” are also a thing in Brazil. 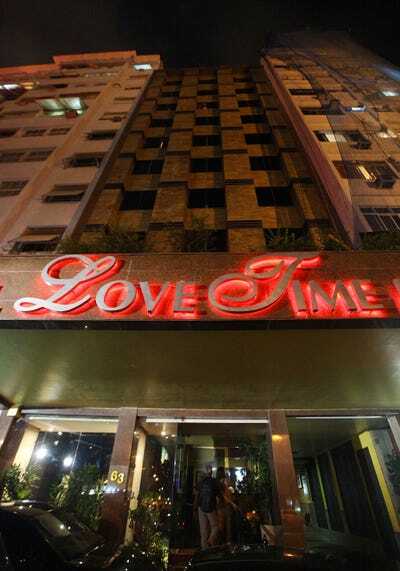 They provide a convenient place for couples — most of whom still live with their parents — to go for quality time. In Brazil, you should always make time for a “saideira,” or “one for the road.” Below is a “chopp,” a draught beer which is by far the best way to drink the local stuff. Knowing that word will get you far. Leaving Brazil, and especially Rio, is always hard. ‘Saudade’ is a notoriously difficult Portuguese word to translate but it roughly equates to a profound longing or nostalgia for someone or something — and once you’ve left you’re bound to feel a pang of it.